Everywhere you look downtown, there is glass. When the glass breaks or a door needs servicing, there is only one company to call—Storefront Glass Door and More. 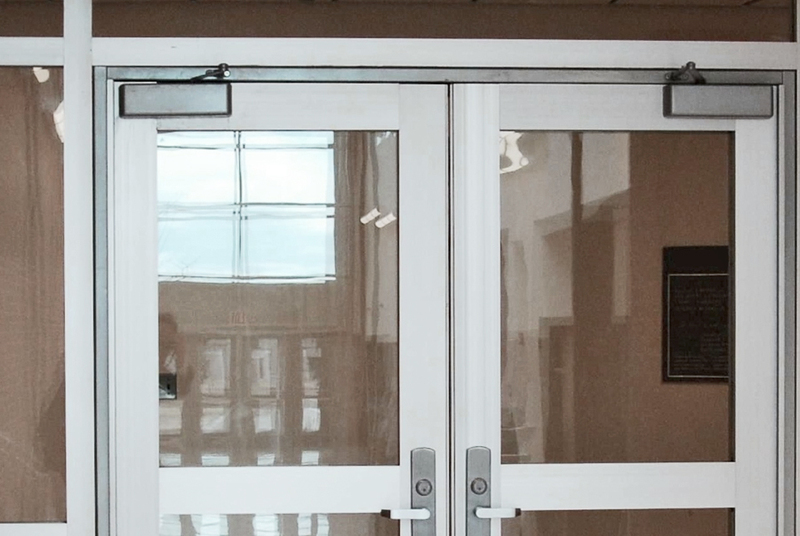 Throughout the years, we have been providing businesses with glass replacements and repairs for entrances, storefronts, curtain walls, and interior offices. 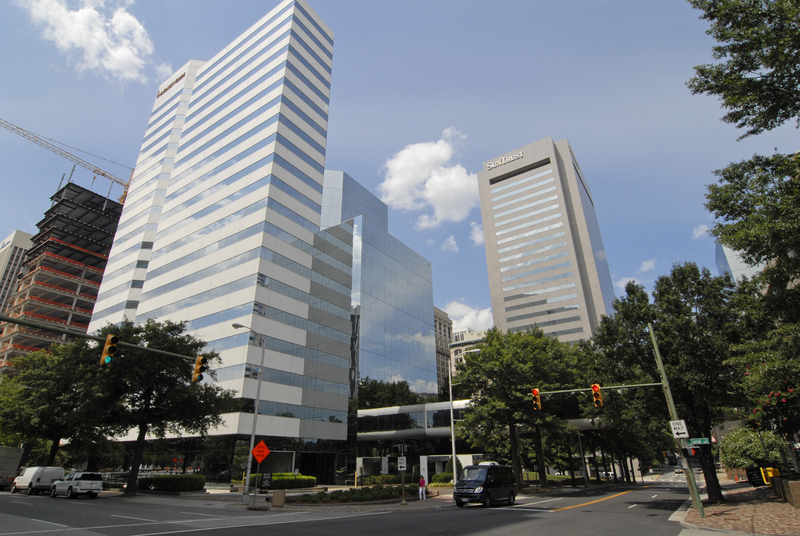 Our designs can be found all across the metro Richmond area, from simple glass replacement jobs to some of the most elaborate and elegant spaces in Richmond. We also can create custom glass shelves, mirrors, and more to enhance and personalize your office or retail store space. Storefront Glass Door and More can handle any high-rise, hard-to-access, and extra large glass windows. This type of installation requires special knowledge of the many glazing systems available. Correctly identifying thermal units is extremely critical to ensure compatibility with engineered HVAC systems. Our experience in high-rise glazing will ensure that all facets of compatibility and safety are met. Storefront Glass Door and More provided commercial glass services for the corporate building pictured below, plus countless others around the central Virginia area. We stand by every job we do and are known for providing the highest level of service to our customers. 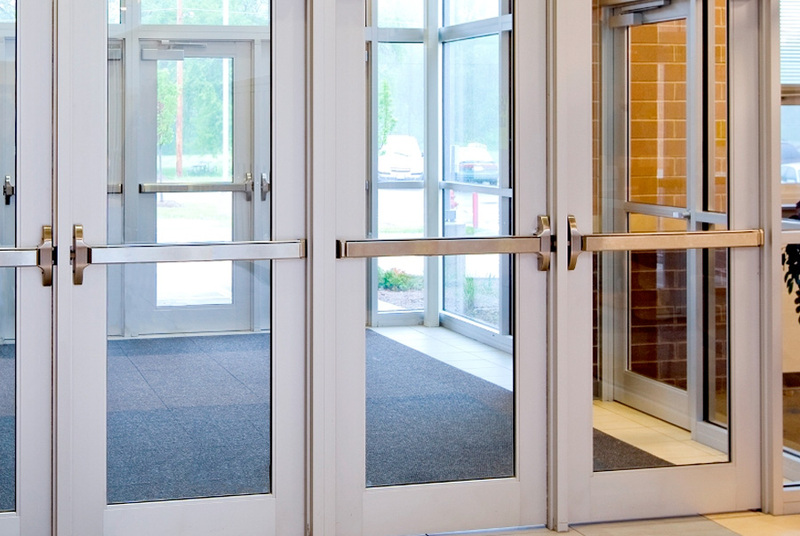 At Storefront Glass Door and More, our technicians are expertly trained in servicing any type of revolving door. We know these types of doors inside and out, from the turn of the last century to the latest models. 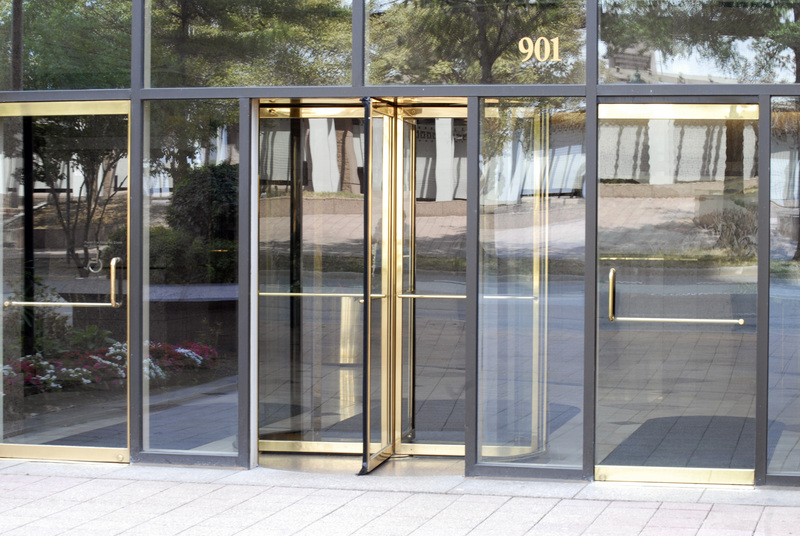 We can help keep your revolving door functioning properly, safely, and effortlessly. If there’s a revolving door issue out there, we’ve probably seen it, diagnosed it, and fixed it. Storefront Glass Door and More repairs doors for all brands and types, as well as industrial doors. If we cannot repair the door, we offer several options of different styles that we can install, usually the same day. If you are looking for high-quality door repair services at a fair price, contact us today. Storefront Glass Door and More is the authority in installing new skylights, as well as servicing existing applications on all types of commercial buildings. 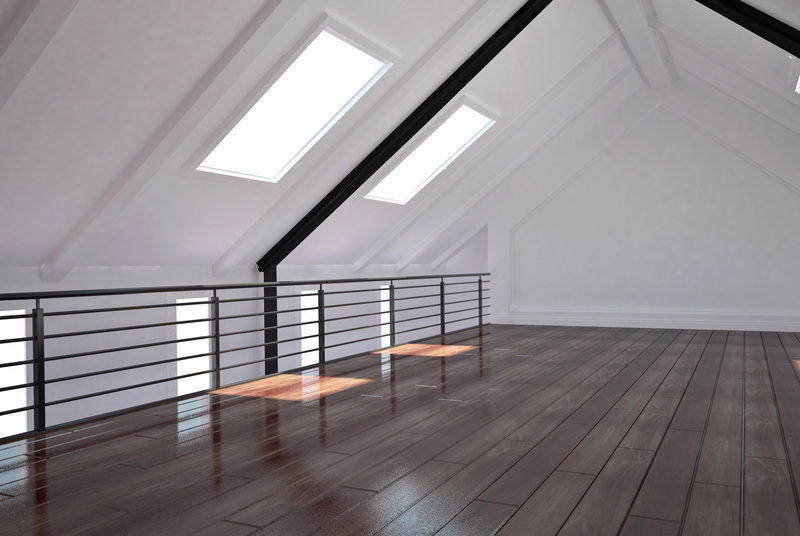 Skylights are one of the best ways to add natural lighting to the interior of your facility without adding more to the electric bill. We work with several industry leaders in commercial-grade skylights to deliver a variety of lighting solutions for commercial buildings with sloped or flat roofs. Storefront Glass Door and More has in stock at our warehouse many types of exit devices for doors. We carry crossbar concealed vertical panic rods, crossbar rim panic rods, and flat touchbar concealed vertical rods, as well as several other types of exit devices. 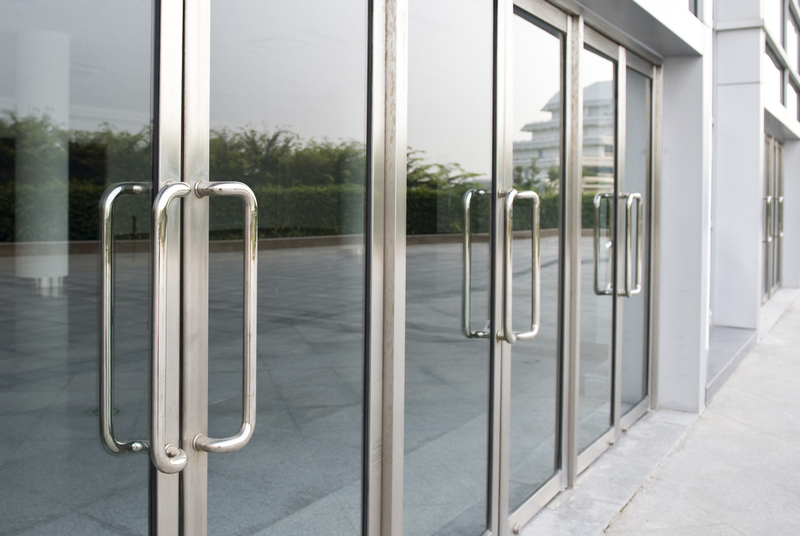 Storefront Glass Door and More offers commercial-grade door closers that help building owners meet building standards, fire codes, and ADA accessibility requirements. We can provide a full range of door closers including cast iron, aluminum storefront, and architectural. 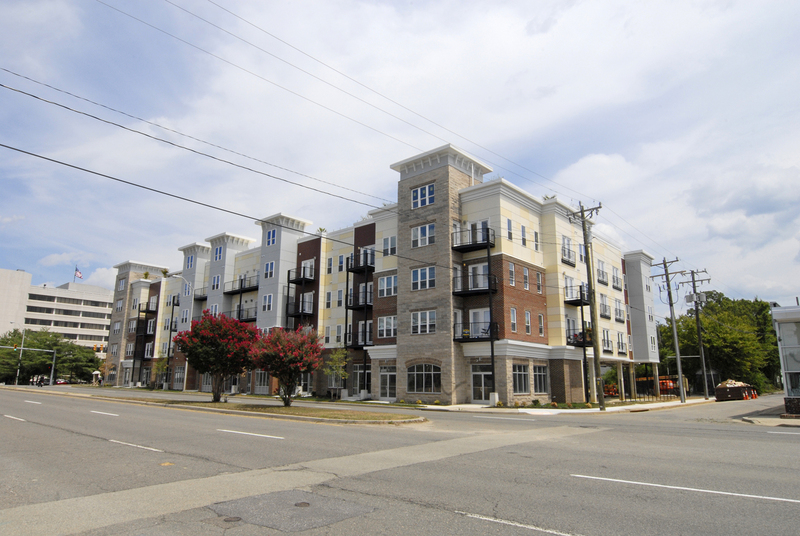 Storefront Glass Door and More proudly serves the metro Richmond, Virginia area including Ashland, Charles City, Chesterfield, Colonial Heights, Goochland, Hanover, Henrico, Hopewell, New Kent, Petersburg, Powhatan, Prince George, and surrounding counties. Give us a call at (804) 303-0029 or use our easy-to-use contact form today!